In as-new condition. Upgraded mobile in November and is less than a year old. Comes with everything in the picture which includes wallet case. Samsung Galaxy Note8 SM-N950 - 128GB - Midnight Black Smartphone. Condition is Used with cracked glass screen but lcd is fine all working. Sent with Australia Post Pre-Paid Parcel Post Satchel 500g. 1 x Samsung Galaxy Note8 Dual SIM 4G LTE SM-N9500 128GB Midnight Black. /128GB microSD Kit/ SAMSUNG GALAXY NOTE8 Dual SIM 128GB 4G N9500 BLACK. 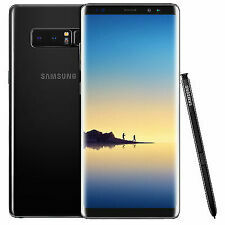 SAMSUNG GALAXY NOTE8 Dual SIM 128GB 4G N9500 BLACK Clear c@se. 2G bands:GSM 850 / 900 / 1800 / 1900 - SIM 1 & SIM 2. 4G bands:LTE. Technology:GSM / HSPA / LTE. 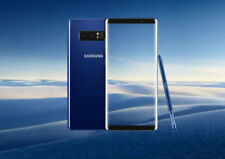 Samsung Galaxy Note 8 Dual SIM 128GB 4G LTE Smartphone (6 Months Warranty). The Galaxy Note8 is your portal to a new world when connected to this range of devices and interfaces. 1 x Samsung Galaxy Note8 Dual SIM 4G LTE SM-N9500 64GB Midnight Black. 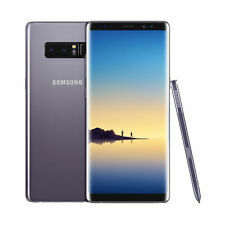 SAMSUNG GALAXY NOTE8 Dual SIM 128GB 4G N9500 Orchid GREY WARRANTY Unlocked. SAMSUNG GALAXY NOTE8 Dual SIM 128GB 4G N9500 BLACK WARRANTY Unlocked Phone. 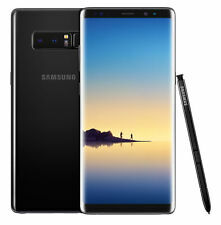 1 x Samsung Galaxy Note8 Dual SIM 4G LTE SM-N9500 128GB Midnight Black. /128GB microSD Kit/ SAMSUNG GALAXY NOTE8 Dual SIM 128GB 4G N9500 BLACK. 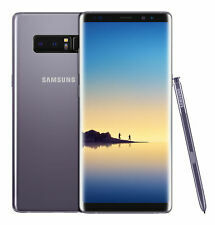 SAMSUNG GALAXY NOTE8 Dual SIM 128GB 4G N9500 Orchid GREY WARRANTY Unlocked. Samsung Galaxy Note8 SM-N950 - 128GB - Maple Gold Smartphone. Condition is Used. Sent with Australia Post Standard Service Signature. 6GB RAM / 128GB ROM. 100% Factory Unlocked. Samsumg Galaxy Note 8 Dual Sim N9500 128GB Smart Phone. Speakerphone Yes. Get crisp photos even when it's dark and it's difficult to keep your phone steady. 6GB RAM / 128GB ROM. 100% Factory Unlocked . Samsumg Galaxy  Note 8 Dual Sim N9500 128GB Smart Phone. Speakerphone Yes. Get crisp photos even when it's dark and it's difficult to keep your phone steady.